Losing your data on your phone is one thing but losing data from an iPhone is a whole lot different than it sounds. Android OS is an open source OS which comes with a file manager, making it easy to access files when compared to iOS devices. The Play Store is flooded with apps which can recover the lost data from the smartphone, you don’t even need a computer to hook your smartphone to. When it comes to iOS, it is a closed ecosystem where you are not allowed to manage your files on the iPhone. The data lost can only be recovered via a software tool on your laptop. It doesn’t matter how you lost your data, the recovery process will be similar to all the accidents. Also, needs to have the iTunes installed on your laptop (or MacBook). There are lots of softwares which can recover data from the iPhone and iPads. These softwares are available on Windows and Mac so it doesn’t matter which laptop you are using. The one which we recommend you to try is EaseUS MobiSaver Free which is the best one we have tried so far. 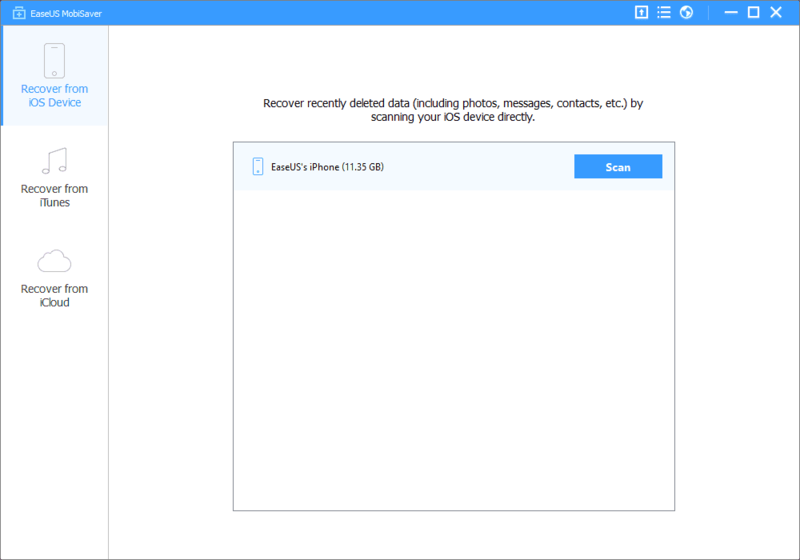 EaseUS MobiSaver is a data recovery software which only works on the iPhone and iPad and other iOS devices. It can recover the lost data from the iPhone itself, it can even retrieve data from the iTunes backup file so you can use it later. This software comes with both Windows OS and Mac OS for free to try out so you know what you are buying without actually spending the money right away. This software is compatible with the latest version of iOS and it works for the iPhone X too so it doesn’t matter which iPhone you are using. First, download the software from the EaseUS official website, and install it on your Mac or Windows PC. After installing, launch the software from Start Menu or launchpad. Connect your iPhone or iPad from which you need to recover data. You will see your iPhone listed there, just tap on it and start the recovery process. Once the data gets recovered, you can sync it back to your iPhone or iPad using the iTunes software. The software is also free of cost so you don’t need to spend hundreds of dollars to get your data back. For more guides like this, follow Gadgets To Use on Facebook and Twitter.